France Sauvage are Arnaud Bruil, Johann Mazé and Manuel Duval. 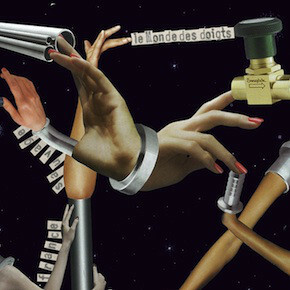 Le Monde Des Doigts LP is a re-issue of the CDr version, first released on 2009 by Larsen Commercial label. On this days Simon Poligné was also part of the group. This first recordings of the group is based more on free improvisation with drums, trumpet and electronic sounds and collage music.